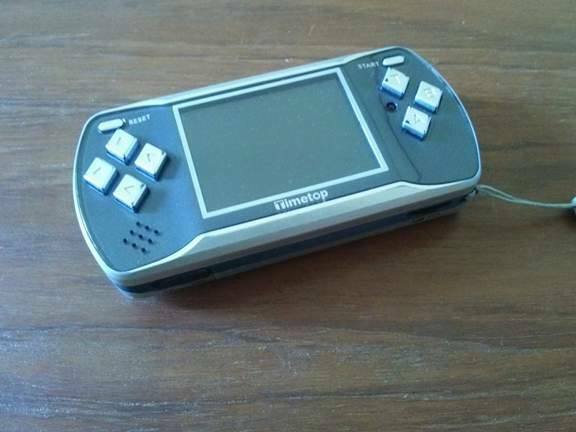 Is Timetop's final handheld the evolution of an anachronism or a drift towards faux-retro fami-clones? 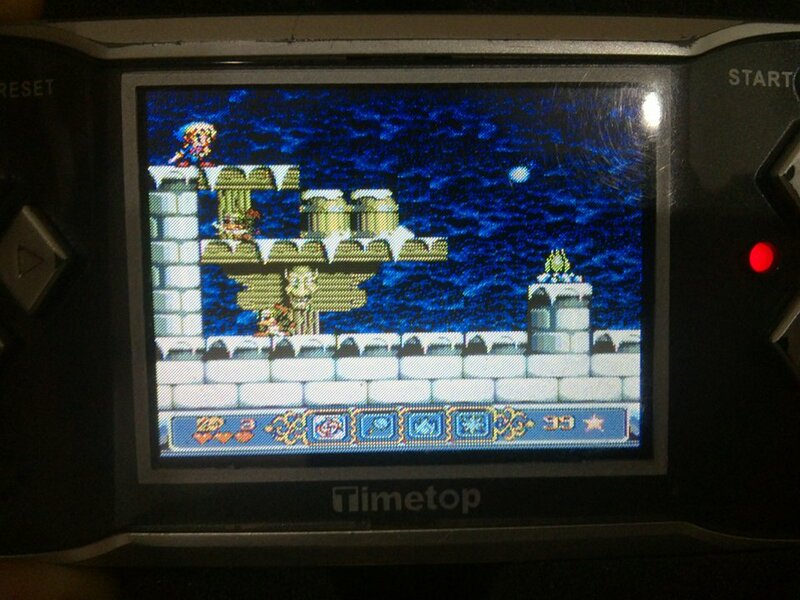 Translated into English it talks about how playing the Timetop GameKing almost feels like a quantum leap into an alternate universe. "One believes they are travelling into a non-existent past where the first tabletop consoles had portable versions, filling the historical gap between the Microvision and the Game Boy, explaining the gap between the Epoch Game Pocket Computer and the Atari Lynx in an inexplicable, illogical but adorable way." All of which pretty much sums up why we fell in love with these quirky little handhelds and their peculiar low-fi take on classic games. At some point, however, Timetop decided to discard whatever their original motivation had been and began gradually improving the graphical output of their systems. 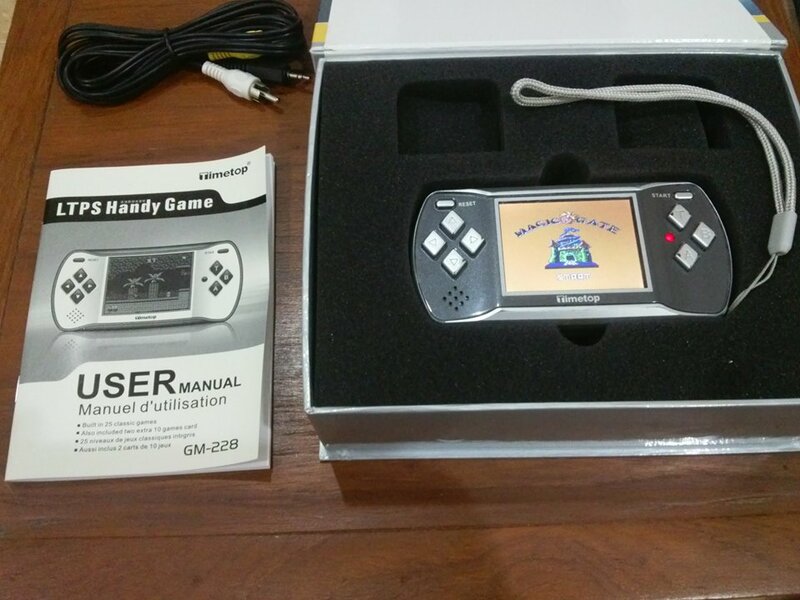 As a result, the GameKing III, while backwardly compatible to the previous units, boasted a full colour screen with significantly more detailed graphics (albeit still 20 years out of date by the time of release). 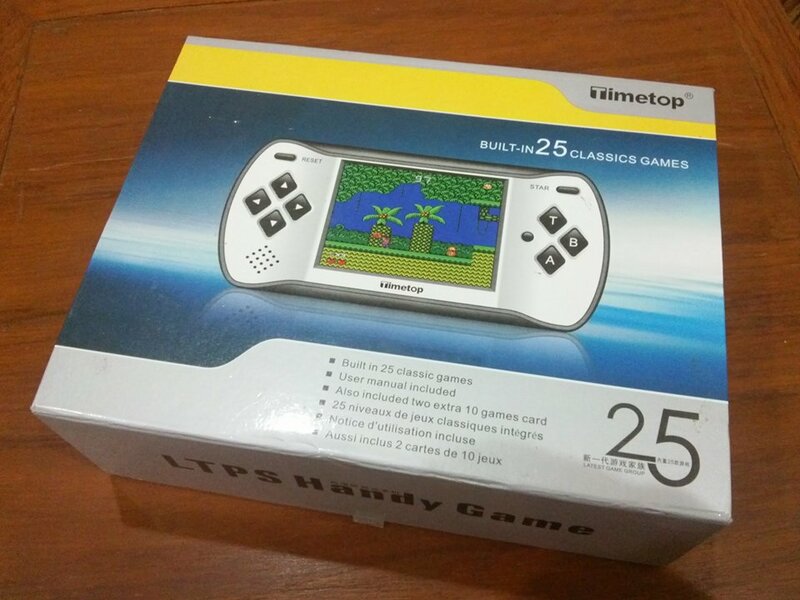 Next came the LTPS Handy Game, the company's final handheld outing before surrendering to permanent radio silence. 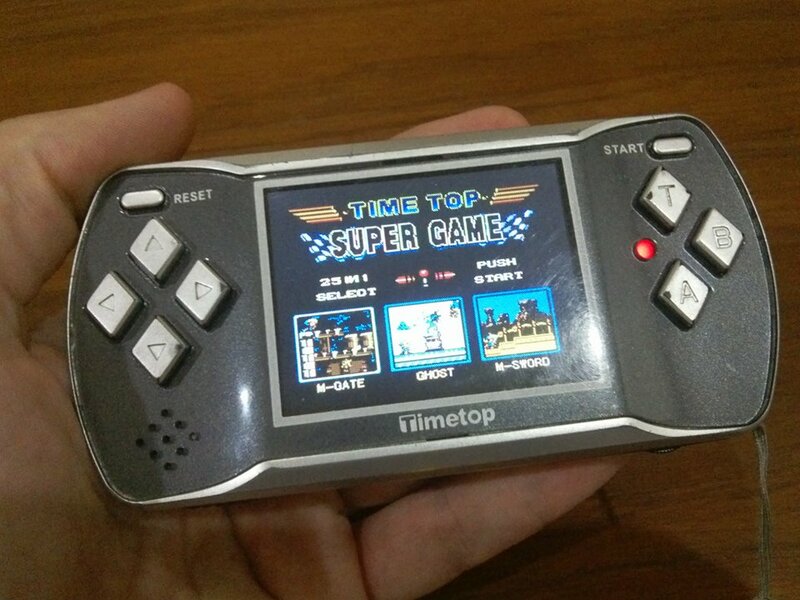 With this handheld, Timetop seemingly decided to move away from Gameking architecture for good and the result is a handheld/plug and play that feels much more like a precursor to the numerous clone handhelds that now proliferate the likes of Aliexpress and Taobao. Nicely packaged with a comprehensive manual in French and English (the usual Timetop translation skills not-withstanding) the system was also bundled with two bonus cartridges. Sadly these were not included with the model we managed to track down. That's even more of a shame when you realise that the "25 built in games" claim is a cynical deception, even by Chinese handheld standards. The LTPS Handygame seems to have been mostly designed for the French market (indeed this is where we tracked down one of these increasingly hard to find units) yet pleasingly comes with an instruction manual that also retains the wonderfully odd "Chinglish" transliteration that made Gameking titles such a joy to find boxed and complete. The unit itself is a pleasing and comfortable size, smaller than any iteration of the Gameking and roughly the same as a Nokia 3310 mobile phone. It's odd diamond button style d-pad represents a continuance of what was an increasingly worsening sense of ergonomics since the original Gameking's perfectly good Nintendo style pad was abandoned after one outing. More interesting is the inclusion of 3 face buttons partly encircling the power LED. This oddly non-symmetrical design is at least practical and, after playing numerous clone handhelds that include four buttons just for the sake of it, it's good to see that the extra 'T' button has an independent function in most of the games, usually where 'select' might have been used in an NES game. Despite another perplexing d-pad choice, Timetop at least score some originality points for the design of the face buttons with no attempt to throw in a useless fourth button and the 'T' button acting as 'Select'. A decent screen and sound quality offer early signs of hope as does 'Magic', the first game you can select which, seems to be a competently programmed original effort. On the top of the unit a little cartridge slot rests. Sadly, no Gameking backward-compatibility exists and, instead, the box seems to indicate that additional cartridges were to be released for the unit offering "9 crazy games, 10 crazy games or 11 crazy games!". Oh Timetop! You so crazy! Indeed, two such cartridges were originally bundled with the handheld, however these were missing from the unit we tracked down and so we cannot speak on what they contained. Perhaps some readers can chip in and supply these details. The other noticeable new feature is the TV out, something that no Gameking iteration ever offered. The relevant leads are included and the handheld can be easily hooked up to your big screen should you prefer to play it that way. 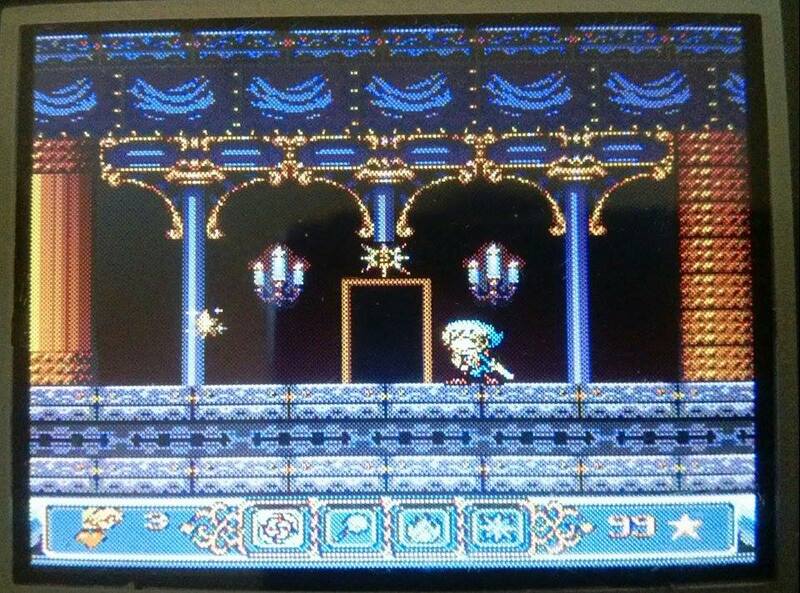 The TV out works just fine with the handheld operating as the controller, although colours are a little saturated on the big screen. So what happens if, like us, you can't find any of the cartridges to play on it. Well, as with the Gameking, that doesn't mean you'll be left with an entirely useless system and we were pleased to see the box boast of a whopping '25 built in games'. This pleasure rescinded somewhat when the manual only appeared to carry 'game briefs' for five of these and dried up almost completely when we viewed the system's main menu. Flicking through the menu itself it became apparent from the little screenshots that most of the games looked extremely similar to one another. However on playing them the truth was revealed. Instead of the twenty five games advertised, you actually get six games broken into differently titled stages. The menu simply operates as a level select. So, for example, on selecting the second "game", Ghost, the first thing you will see is 'Stage 2' appear on screen and you'll be whisked into the second level of the first game "Magic". It's a sneaky bit of false advertising and every bit as bad as the repeat games usually bundled on 500-1 game carts and their kin. Whether the bonus cartridges that would originally have been included also pulled this stunt is something we don't know right now but would be interested to find out. Feel free to comment below if you can confirm this. ​In the meantime, lets look at what you can actually play with just the unit itself along with those wonderful "Game briefs" written in best Timetop Chinglish. "At the beginning of the life, the people vs the devil. The devil live and breed by sucking the spirit of the weak. To prevent the devil, one deity was pointed to keep the devil down. How the deity destroy the devil? he need 4 magic stones, but where is the 4 magic stones?" ​Magic is Timetop game design in a nutshell: Competently programmed and displaying enough gameplay flourishes to demonstrate the love that went into crafting it, it remains frustratingly short, clearly rushed to meet a deadline and seemingly unfinished if not outright broken in its level design. 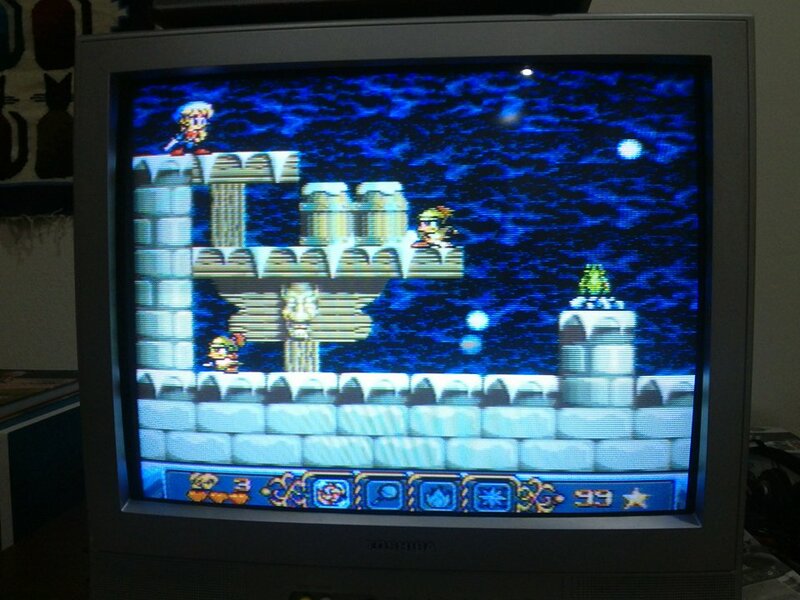 In considering Timetop’s source of inspiration, the game it appears to be cloning is the Super Famicom title, Magical Pop'n and, indeed, the graphics are a shade above the average NES game, although the game’s poor frame rate seems to chug along because of it. You explore four detailed and varied horizontally and vertically scrolling stages, slashing at enemies with your sword and collecting power stars and other goodies to power up your special weapons. 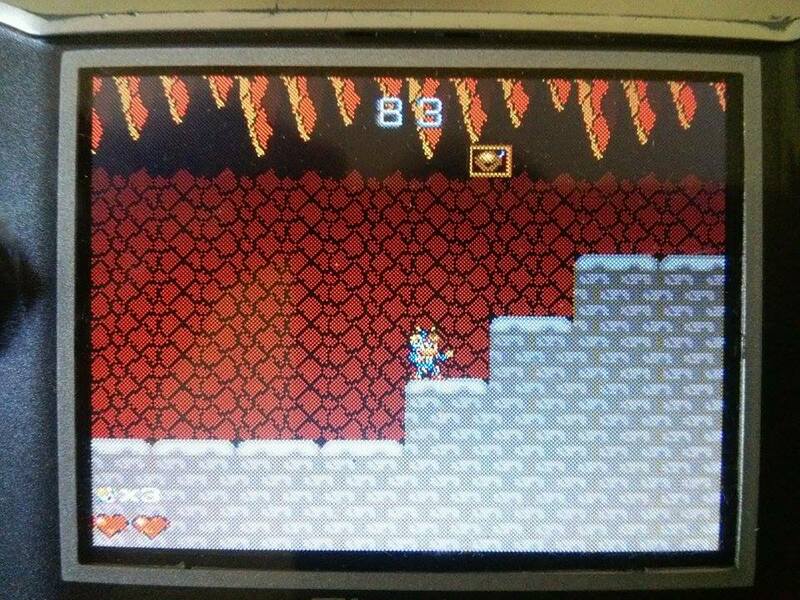 In addition to jumping and slashing, pushing up on the d-pad throws out a grappling hook that can attach to parts of the scenery and allow you to swing over chasms and pitfalls. It’s a nice touch, although, in typical Timetop fashion, it just appears to have been thrown in there with little actual consideration to its practical use, with only a few set-pieces actually requiring it. Various doors separate each world into Kirby-esque mini-stages, some of which are barred and need to be opened with weight sensitive panels and a boss awaits the end of each stage, granting the player a new special weapon on defeat. Unfortunately locked doors appear to bar the exit of the first three stages, yet no weight sensitive panels exist to open them. Unless we are missing something there appears to be no way to finish the levels, access the bosses and play the game as one consecutive adventure and, frustratingly, the manual offers no clue as to how to solve this. You can always reset the console and select the next stage manually (gaining the relevant powerup automatically) but that rather takes the fun out of it. 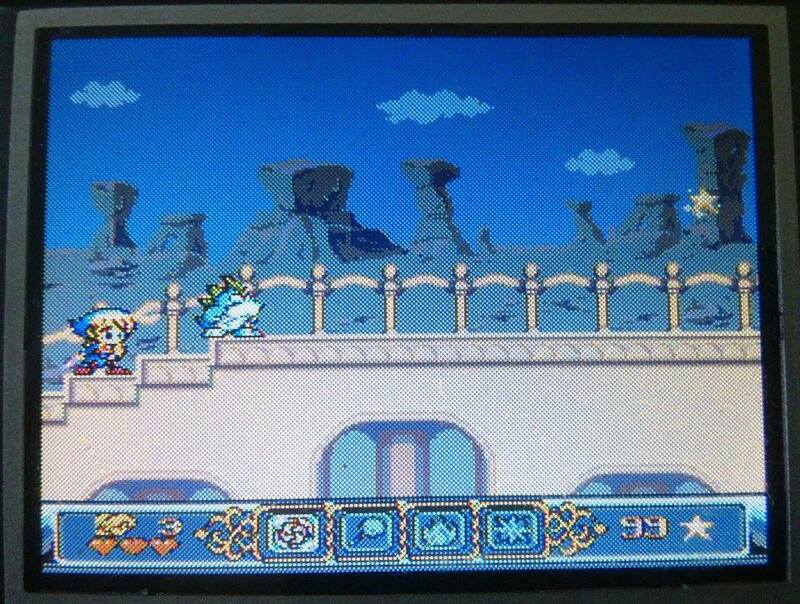 We were able to beat the game by starting on stage four, where the last boss does not appear to have been locked off, however it almost seems as if the developer deliberately locked off the exits to the earlier stages, possibly in a naïve attempt to prevent players discovering that the first four “games” accessible from the Handygame’s menu were actually just individual levels of the same game. It’s a shame that such an interesting, promising opening title appears to have been marred by unfinished level design or a deliberate attempt to obfuscate its origins. "Fire bolt" is a air force under a president before. But there are enemy from other planet attack a lot of our villages. Cry, smoke, panic clouds the whole earth. In order to rescue earth and recover happy life of mankind, "thunder burst no.1" become t pioneer of this mission"
It wouldn’t be a Timetop console without a rip-off of classic shooter 1942 and Firebolt is exactly that. 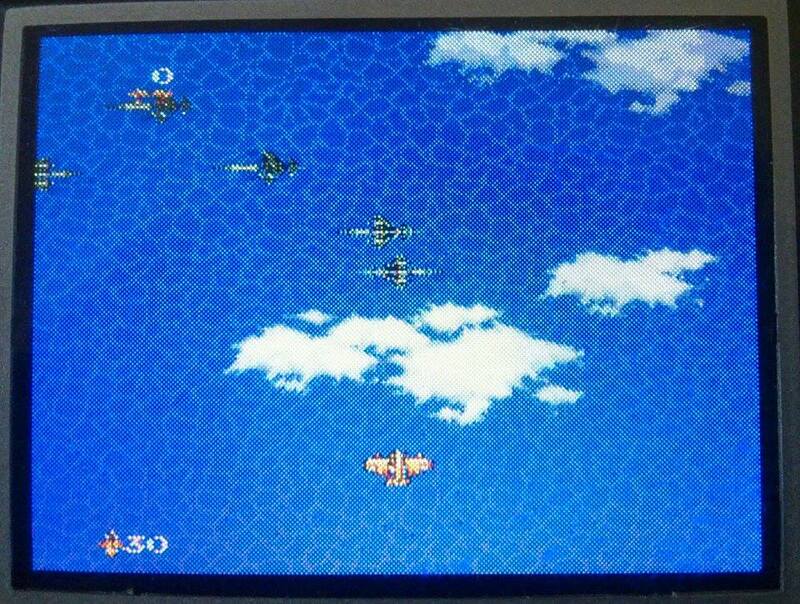 you fly a little bi-plane up the screen blasting at enemies in exactly the same way you did in countless Gameking shooters, except here things are rendered in a lot more detail, even if the overall action is just as simplistic. Unfortunately, this game is a case of the devil very much being in the detail, as it is incredibly hard to distinguish the enemy bullets from the backgrounds (especially when playing on the small screen) and as a result, Firebolt just feels like an exercise in unfairness. This is a shame as it has the best frame rate of any of the games on the handheld, sound effects are appropriately meaty and enemies are generally well animated, swooping up and attacking from different plains of the field. There are five stages each with an individual boss to tackle but you’ll be fortunate to survive long enough to progress from one level to the next due to the game’s extremely high difficulty and invisible bullet syndrome. Ultimately, this is another case of better graphics not equalling better gameplay as the Gameking's 2003 and 2004 were ultimately much more satisfying because of the simplicity of their graphics not blindsiding you from bullets. There was a time when Timetop would at least attempt to obscure shameless licensing rip-offs with oddly inappropriate titles; however it seems that this was no longer the case by the time work began on the Handy Game as Stone Age is so obviously the Flintstones that they even named the hero “Fred” in the instruction manual! It’s also a curiously short game, only consisting of three stages (two platformers and a swimming section in between) but they will be more than enough for most gamers given the appalling frame-rate and slow-down which chugs along, practically ruining what might otherwise have been a decent enough game. The graphics are sharp and colourful even if some sprites and sound effects are clearly being recycled from Magic and there is the trademark Timetop flourish when you realise that your character can grab onto, hang from and haul himself up to platforms using his hands in a Prince of Persia style manner totally unsuited to the main character’s obvious appearance. Enemies are defeated by hitting them with your club and, frustrating boss battles aside, there isn’t really much more to it than that. Given the extreme difficulty of some of the other games included, perhaps Stone Age was meant to be an option for younger gamers, however even the youngest, least experienced gamer would baulk at that horribly choppy scrolling and killer slowdown! "quiet and happy life was destroyed by DAMO tribe, brave hero begins his justice adventure...... games background show us ancient forest, charm ice mountain, beautiful marshland and hot volcano. Our hero fights against happy boy, foolish monkey and giant bird. In order to gain quiet and happy life, it not only needs bravery, but also wisdom." Risker is a name that Timetop, and indeed Chinese companies in general, seem to love. Frequently the name “Risker” or “Risk King” will be used for illicit knock-offs of Super Mario Bros, except on the GameKing itself where it was used as the name for an illicit knock-off of Spy Hunter…but we digress. Risker for the Handy Game is an illicit knock-off of Adventure Island, with a bunch of stolen sprites from other games. It’s also the point where we pretty much gave up on the Handy Game ever being half as fun as the GameKing was. The GameKing had an excellent little adventure Island clone called “Drifter” built in. 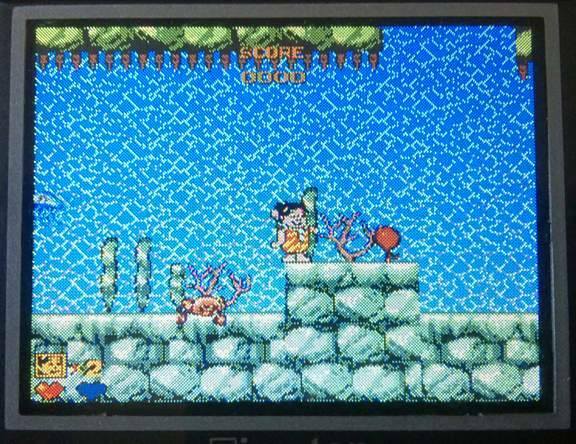 This short 3-level romp managed to squeeze in much of the gameplay that made the original Adventure Island a hit into the tiny constraints of the GameKing hardware. So how is it that with superior hardware to hand, Timetop manage to make a game that is much worse? Well, firstly there is the issue of framerate and choppy scrolling yet again rearing its ugly head, with slowdown compounding it once multiple sprites are on screen. A good platformer relies on tight controls which Risker sadly doesn’t have as your sprite spasms and jerks around the field of play. Presumably because he is a monkey, Timetop have replaced the traditional axe weapon with…a banana. This only stuns enemies who can then be picked up and thrown at other enemies to kill them. 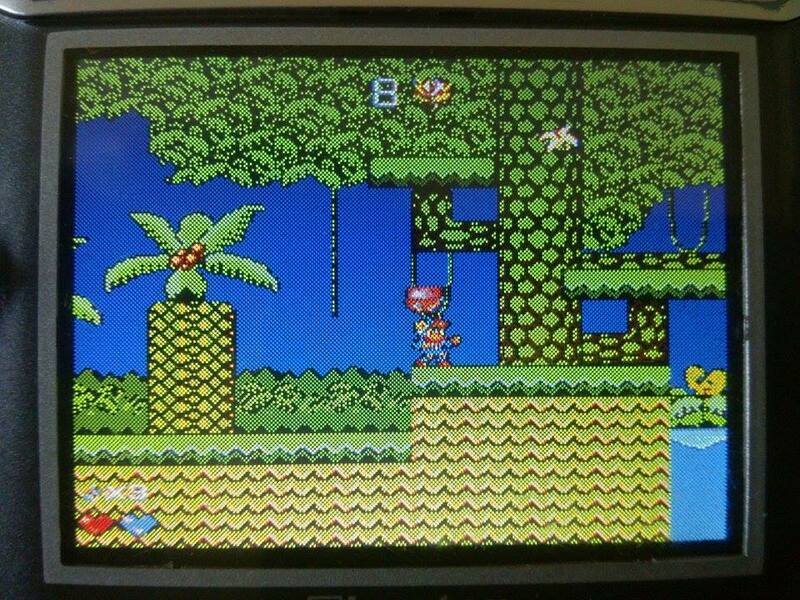 While the Boomerang does make an appearance, the game completely fails to stick to the other mechanic of Adventure Island; having to collect fruit to remain healthy, making this aspect of the game rather pointless. After the brief respite of Stone Age, Risker also returns to the harder difficulty of other games on the collection but it’s a difficulty that often infuriates as much as it does challenge, given the system’s seeming inability to run the game at a consistent speed. Another game that should have had promise but is ultimately a let-down. ​"Country decide to dispatch special soldier to destroy the head office of evil doctor, which locates in a secret island. Evil doctor caught the special soldier's girlfriend as hostage... In order to protect peace and love, the special soldier take part in the justice war..."
Yes, it's Contra re-imagined as a love story! 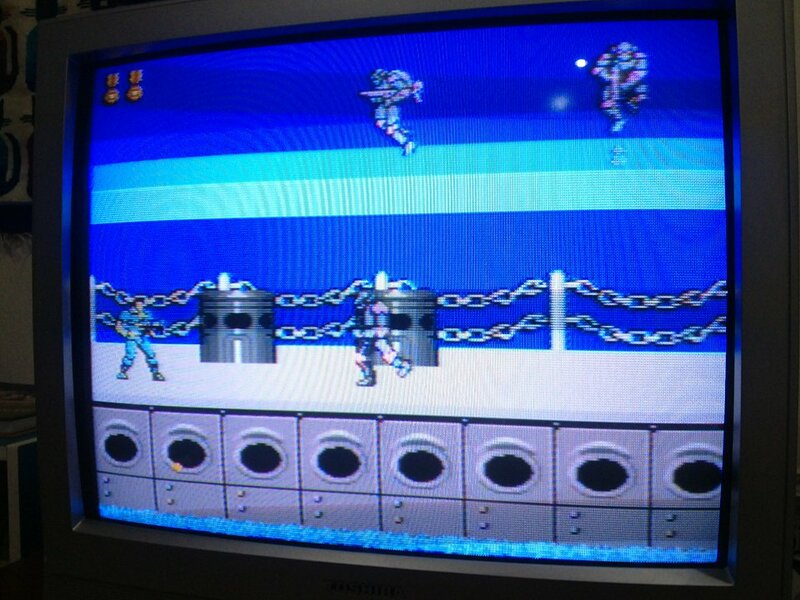 Still...Contra. That’s a game that’s almost impossible to mess up, isn’t it? 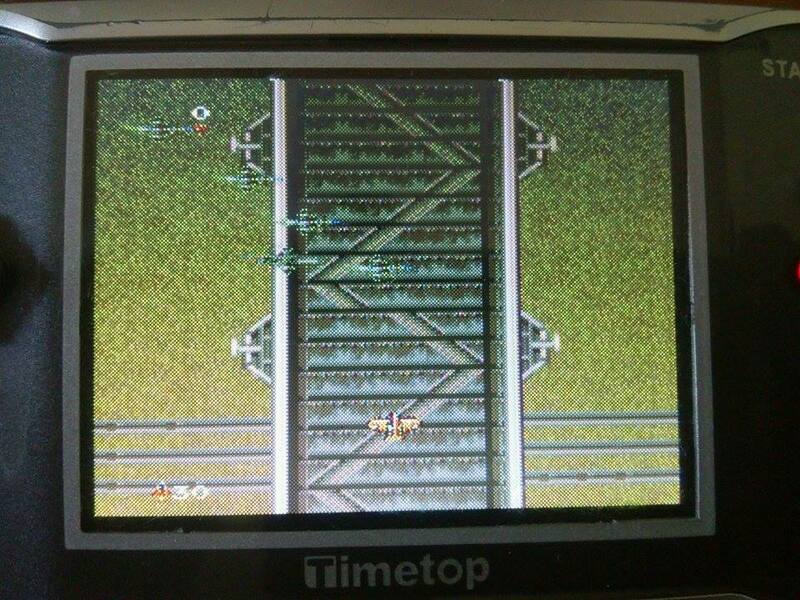 In fact, Timetop has a pretty good record with ultra low-fi Contra clones on the GameKing so surely Gun Force will be the best game on the Handy Game. ​While these static images may look the part, the game unfortunately plays as if it were a flick-book of such static images, so jerky and poorly animated are most of the sprites. Your little soldier gallops along, merrily skipping frames whenever he feels like it as the screen lurches to keep up with him. That's okay though as enemy bullets also have no problem skipping the odd frame to kill you! The real cheapness strikes the first time you destroy one of the gun towers and, rather than explode, it simply blips out of existence. That’s right, Timetop couldn’t even be bothered to code an explosion animation for some enemies! They just vanish. The game has four levels with the usual Contra themes but this plays like some kind of teenagers first attempt at programming a flash game. So very disappointing....even if the addition of a girlfriend saving love story is the most hilariously un-Contra thing we've ever had the chance to chuckle at! "Cute rabbit BEIBEI likes eating fresh carrot and fruits. But there are crocodiles and many insects. How to get the delicious foods..."
The final game on the system boots up to a whole crop of stolen artwork from both Tiny Toons and Kirby’s Adventure. So, is it a platformer? Well, surprisingly, the answer is no. Instead we have an original top down puzzler that is probably one of the most playable games on the system. 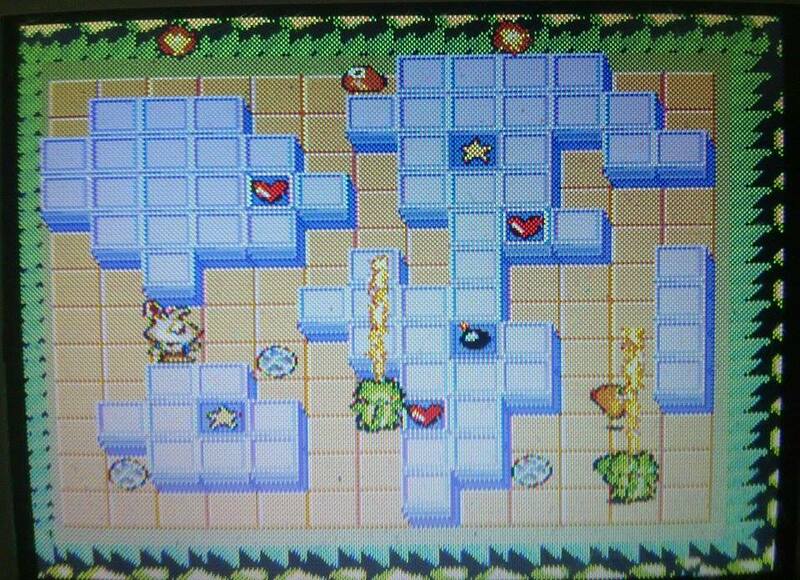 You control a little rabbit in a Bomberman style maze of blocks. However the gameplay mechanic doesn’t involve blowing up these blocks but instead pushing them from any side to send them flying vertically or horizontally across the grid where they wipe out any enemies in the way. The aim of each stage is to rid the level of bad guys, more of which emerge from the little manholes scattered around the grid as you progress. An additional challenge comes from using certain special blocks to kill baddies with earning fruit as a reward. At the end of each stage you are given a bonus if you manage to get 10/10 pieces of fruit. The game has five worlds divided into five stages each for a total of twenty five stages, making it easily the most challenging of the six built in games. Adventure’s single screen format also means you don’t have to put up with the jerky horizontal scrolling that mars other games on the system and as such it’s one of the most enjoyable games on the system, although you’d still be hard pressed to actually want to play it. Curiously it shares its title with one of the Legendary Gameking III standalone games, suggesting that its higher quality may be down to it being a variant of an originally produced game for that system. However, until we can actually track down these almost impossible to find cartridges, this cannot be verified. Please leave a comment below if you can. While the Gameking was a wonderful anachronism and a low-fi gem, the Handy Game was a bad mis-step by Timetop and a sorry end to their handheld line-up. Lying about the number of games included was a mistake but it's the low quality of most of them that make this a worthless purchase against the slew of Famiclone handhelds that hit the market around the same time. Although we haven't been able to try the additional cartridges that were originally bundled with it, it seems unlikely that they would have contained any hidden gems. If you are a fan of the GameKing then this might be worth seeking out as a curiosity from the parent company but, historical interest aside it is hard to justify picking one up as anything other than that.